Harrisburg, PA – Governor Tom Wolf and PennDOT Secretary Leslie S. Richards today announced fifty-one projects to improve transportation alternatives are in line for $33 million in federal funds. Mount Oliver Borough – $745,714 for a streetscape project along Brownsville Road in Mt. Oliver that includes numerous improvements to the Business District, including new sidewalks, ADA curb ramps, sharrows, and a consistent streetscape design. Urban Redevelopment Authority of Pittsburgh – $498,793 for lighting, sidewalk repair, and traffic calming to encourage alternative modes and pedestrian safety in Homewood, a priority redevelopment area, which includes a neighborhood school, business district, and regional rapid transit. Swissvale Borough – $353,250 for pedestrian and bicycle safety improvements including crosswalks, ADA-compliant curb cuts, pedestrian signal upgrades and bicycle safe storm sewer grates along South Braddock Avenue between McClure Avenue and Woodstock Avenue. Birdsboro Borough – $216,200 to replace sidewalks and construct ADA-compliant ramps at Birdsboro Elementary Center. City of Reading – $910,099 to create a trail segment for the Schuylkill River Trail through Reading from Reading Area Community College to Buttonwood Street, providing a safe, easily accessible, clearly marked and signed trail in the City of Reading. City of Altoona – $460,000 for repair of deteriorated steps and decking on the 12th Street Pedestrian Bridge. Warwick Township – $500,000 to create a pedestrian/bicycle trail under Route 263 to allow visitors access to recreational and cultural amenities near Moland Park. New Britain Township – $375,000 for construction of the Neshaminy Greenway Trail (NGT) from Lenape Lane to Upper State Road. The trail will be an ADA compliant shared use path, and will complete a missing link in the NGT, providing a connection to the 202 Parkway Trail. 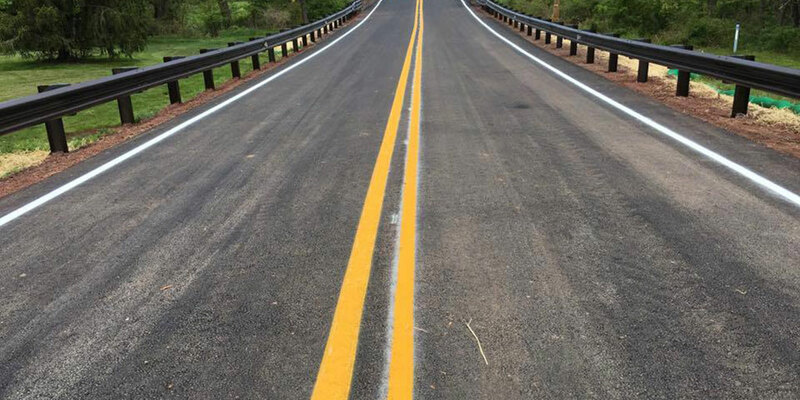 Slippery Rock Township – $138,000 to widen a paved shoulder and create a striped buffer with reflective markers separating the designated walking path from the cart way along Harmony Road. Zelienople Borough – $465,000 for comprehensive updates to the west side of Main Street between Beaver Street and Spring Street. Improvements will include new concrete sidewalks, curb/gutter, ADA ramps, and lighting. Adams Township – $145,735 to create a safe route through the Creslo neighborhood to an existing Forest Hills School Campus. Patton Township – $1 million to construct a 10-foot-wide shared use path to link existing shared use paths, parks and residential neighborhoods. Kennett Township – $700,000 for construction of the McFarland Sidewalk component of the Township’s Red Clay Greenway Trail initiative. Downingtown Borough – $916,600 to install a 10-foot-wide multi-use trail along Woodbine Road and a 6-foot-wide sidewalk along a portion of Lincoln Highway. City of DuBois – $700,000 to extend the walkway and provide bus pull off areas along Beaver Drive in the Industrial Park. Crawford County – $475,000 for comprehensive updates to Water Street between Second Street and Third Street, including crosswalks, sidewalks, lighting and ADA-compliant curb cuts and ramps. City of Meadville – $219,940 for repair of the footbridge crossing Mill Run, which is a popular route for school children and on the proposed Ernst Trail, closed in 2014 due to structural deficiencies and safety concerns. City of Harrisburg – $1 million to replace 11,000 linear feet of damaged slab and steps along the Riverwalk in Riverfront Park. City of Chester – $913,488 for the Avenue of the States streetscape project, which includes sidewalk and streetscape improvements in Chester’s Central Business District. Radnor Township – $1 million for construction of the Radnor TAP Trail, which will provide a 5-mile north/south circuit route through nearly all of the township to create a nearly continuous 7.6-mile on-road and off-road bicycle route. City of Erie – $175,745 for concrete sidewalk and curb removal and reconstruction with associated streetscaping (landscaping and trees) along West 18th Street between Poplar and Liberty Streets. Redevelopment Authority of the City of Uniontown – $999,350 to replace sidewalks, add crosswalks, and create ADA-accessible ramps to improve safety and enhance the Historic District for both residents and visitors in the downtown. Green Township – $498,420 to construct continuous concrete curb and sidewalk on the east side of Route 1006 (Scotland Main Street) and place a continuous concrete curb along the west side of Scotland Main Street. Keystone College – $732,146 to develop two critical safe access pedestrian/bike trail connectors that fill gaps in a community trail system in Laplume Township. Improvements include two ADA-compliant trailheads with bike parking, crosswalks and a small bike share program. Elizabethtown Borough – $400,000 to expand the existing pathway network at Elizabethtown Area School District and Elizabethtown College. Additionally, safety enhancements along the existing pedestrian and bicycle pathway network will include lighted crosswalks and pedestrian lighting. City of Lancaster – $962,378 to install a pedestrian bridge over the Conestoga River, reconfigure fencing on the existing bridge to accommodate bicyclists, and construct ADA accessible trail approaches to provide a connection between two open space areas. West Earl Township – $999,810 to replace curbs, install sidewalk and construct ADA curb ramps on East Main Street. Additionally, a flashing pedestrian signal will be constructed at an existing crosswalk at the intersection of West Main Street and Charles Place. Lebanon County – $575,000 to construct the Lebanon Valley Rails-to-Trails (LVRT) bridge over Swatara Creek and a small section of LVRT in Union and Swatara townships. Macungie Borough – $542,288 for traffic calming and safety improvements to Macungie’s downtown gateway – encompassing one block of pedestrian lighting, trees and pavers (both sides) and one median island centered on Route 100. South Whitehall Township – $257,634 to continue the Jordan Creek Greenway –Section 50. Coopersburg Borough – $938,856 for traffic and pedestrian improvements to Station Avenue from Main Street to the Saucon Rail Trail, including crosswalks, curbs, sidewalk, accessibility improvements and pedestrian lighting. Additionally a Saucon Rail Trail extension will be constructed from Landis Street to Station Avenue. City of Allentown – $297,274 for pedestrian safety improvements at a high-volume intersection adjacent to the Allentown School District’s new public high school and adjacent to the “Connecting our Community” MLK Parkway Trail, which connects the downtown to the city’s western park resources. Wilkes University – $1 million for pedestrian and streetscape improvements on South Franklin Street and South Main Street in the City of Wilkes-Barre. City of Williamsport – $798,500 for phase four of the Williamsport Pathway to Health Project – a multi-phased streetscape and safety improvement project in the City of Williamsport. Loyalsock Township – $765,000 to construct two pedestrian bridges/trail segments to connect the Recreation Center and Park/Pool Complex and the Junior/Senior High School with Bruce Henry Park and surrounding residential areas. Mifflin County – $608,000 for new trees, sidewalks with adjoining pavers, curbing, ADA-compliant curb ramps, and pedestrian level lighting to improve pedestrian access and safety. Abington Township – $450,000 to construct a 3.26-mile on-road and off-road trail across the northern tier of the township. Cheltenham Township – $700,000 to construct a 1-mile segment of phase three of the Tookany Creek Trail, which starts at Harrison Avenue and ends at New Second Street and includes a 135-foot-long pedestrian/bicycle bridge over Tookany Creek. Limerick Township – $970,000 to construct Limerick TAP Trail, a 2.57-mile long off-road trail that will connect to existing trails and create a 4.1-mile east-west network across the township. City of Sunbury – $640,000 for renovations to Chestnut Street to improve pedestrian safety on Truck Route 61 in the City of Sunbury. Improvements include replacing sidewalks, curbs, and ADA curb ramps. City of Philadelphia – $984,692 to enable the strategic and sustainable expansion of Indego, Philadelphia’s newest public transportation system, by deploying 16 new Indego bike share stations in high-demand locations. City of Philadelphia – $1 million to construct a 6/10th of a mile, 12-foot-wide trail with landscaping and site amenities along the Delaware River between Magee Avenue and Princeton Avenue. The project is part of the East Coast Greenway. City of Philadelphia – $600,000 to remove slip ramps for eastbound and westbound Baltimore Avenue, which is the school crossing guard location for Avery D Harrington School. The project will also include green infrastructure with a subsurface stormwater retention system, signal upgrades and bump-outs. City of Philadelphia – $250,000 to convert over 17 lane miles into protected bicycle facilities by adding flexible delineator posts, a vertical element proven to better visually and clearly separate vehicle and bicycle space in the right of way. Milford Borough – $514,674 to install imprinted concrete sidewalks and pedestrian lighting. Somerset Borough – $428,928 to replace sidewalk sections within the historic “Uptown District” of Somerset Borough. Lanesboro Borough – $578,200 to replace deteriorated sidewalks along North Main Street in the borough and construct sidewalks along Tannery and Depot Streets adjacent to the Historic Starrucca Viaduct. Charleroi Borough – $975,000 to address deficiencies in stormwater above and under Route 88 in combination with a PennDOT betterment project. Westmoreland County – $1 million to construct 3.4 miles of rail trail along the former Turtle Creek Industrial Railroad corridor, now owned by Westmoreland County, in the municipalities of Murrysville and Export Borough. Nicolson Borough – $630,000 to renovate and replace sidewalks, curbing, ADA ramps, and street lighting within a two block section of the downtown business district. York County Rail Trail Authority – $883,800 for construction of a pedestrian/cycling bridge and ramps over the Codorus Creek at Emig Road as part of Northern Extension of Heritage Rail Trail County Park.